The Acura CL is a coupe automobile produced by renowned high-quality car manufacturer Honda. Honda is a Japanese manufacturer, who is based in Tokyo, Japan. Honda is an international distributor of some of the finest automobiles that the world has to offer. Honda was established in 1948 in Japan by Soichiro, a Japanese engineer with a passion for automobiles. The car was manufactured by Honda’s Acura division first in 1996 and until 1999, where it was the first Acura model to be produced in America. It was not produced again until 2001 and it remained in production until 2003. The car was manufactured in Acura’s main operations facility in Marysville, Ohio. The company produced first generation versions of the car, which were available in 2.2 liter engines, 2.3 liter engines and 3.0 liter engines. The company also produced second generation versions of the Acura, which featured a 3.2 liter engine. The Acura CL was a new car model released onto the market by renowned car producers Honda. The Acura CL was first manufactured in 1996. It was officially made available as a model for 1997. When the car was first introduced on the market it featured a four cylinder 2.2 liter engine and it had 145 horsepower. The next model featured a six cylinder 3.0-liter V6 engine. The car was increasingly popular with young couples without children and with older people who no longer had children living with them. The car underwent a few minor changes from 1997 to 1999. They released a model that featured a four cylinder 2.3 liter engine with 150 horsepower. The first generation models measured 190 inches long, 54 inches tall, 70 inches wide. After the success of the Acura CL models in 1997, 1998 and 1999, Honda decided to release remodelled versions of the original Acura CLs, which were released from 1996 to 1999. They released a new version of the Acura CL in 2001. The company capitalised the demand from couples without children when remodelling the car. Acura redesigned its popular Acura CL in 2001 and produced a car that featured a 3.2 SOHC VTEC J-series V6 engine. In 2002 the company made further changes to its popular Acura CL model. In 2002 the company designed and manufactured a new model, which was released in 2003. This new model was named the “Type-S” model and it featured 260 horsepower. The 2003 model also featured a 6-speed manual transmission and a 5-speed automatic transmission. The second generation models are 192 inches in length, fifty five inches tall, seventy inches wide and weigh around three hundred pounds. Acura’s new models from 2001 to 2003 featured many cosmetic changes as well as mechanical changes. The second generation featured an improved suspension, heated seating, square side mirrors and many more new and interesting features, which made the car popular with customers. All Acura CL models are available in white and silver among other colors. Both the original model and the second generation model have proved popular with customers worldwide. Although the car has not been produced since 2003, it is still a popular choice for those purchasing pre-owned cars. 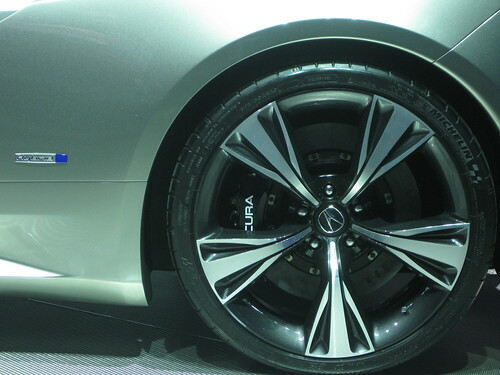 From its Impressive interior to its sleek wheel covers, Acura CL sure is an impressive model!